The principal goal of estate planning is to see that the wishes of the person who accumulated property are met. The most familiar method for addressing this goal is a valid Last Will and Testament. An additional tool maybe a Revocable Living Trust. Both of these legal tools are primarily designed to direct disposition of property after someone’s death. Decisions about how to “own” property during life affect how the owner’s wishes regarding disposition of the property after their death are fulfilled. Selection of a property ownership type can effect taxation, inheritance and probate issues. Property ownership is a legal concept that recognizes rights that the government will enforce. A common analogy is a bundle of sticks, with each stick representing a right of ownership. The bundle expands as “sticks,” or rights, are added and gets smaller as sticks are taken or given away. Different people can own different sticks in the same property. The sticks may include the right to possess, sell, lease, mortgage, donate, and exercise dominion and control over a thing. These rights cover personal property like clothes, jewelry or automobiles, real property including land and buildingse, or intangible items like bank accounts, stocks, copyrights, or a business. Sole Ownership: A sole owner of property rights has every stick in the bundle and no obligation to anyone regarding how the property is dealt with. Solely owned property is part of an estate for probate purposes. Upon someone’s death, solely owned property will be distributed by the terms of someone’s will. Absent a valid will, distribution will be by the government’s laws of intestacy. 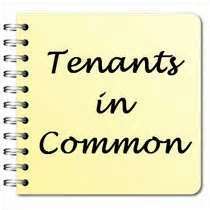 Tenants in Common: When property is held by tenants in common, each tenant owns their share of the property. They have no rights in the interests of other owners. With property owned by tenants in common, any owner can sell his interest without any consultation or consent. If that happens the new owner becomes a tenant in common with the other existing owner. There are no rights of survivorship. In the event of an owner’s death, his share of the property is part of his estate and does not automatically go to the other owner. If property owners do not designate otherwise, they are by default, tenants in common. Joint Tenants with Rights of Survivorship (JTWROS): In this type of ownership, each owner has an equal share. While joint tenants are alive, any owner may dispose of his share, and this terminates the joint tenancy. If a joint tenancy is terminated, the law, by default turns the ownership interests into a tenancy in common. Upon the death of any joint tenant, the deceased owner’s interest passes automatically to the surviving owner(s) without any action by a court. While most people think of real estate as having this type of ownership, any property may be owned this way. Creation of this ownership interest requires documentation with specific language. For many people, who wish to share a major asset such as a home or a vehicle with a specific individual, converting ownership to a joint tenancy during their lifetime, simplifies major issues to be addressed upon death. 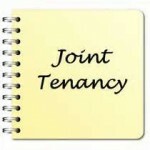 Tenancy by the Entirety: Tenancy by the entirety is available only to married couples. For tenants by the entirety there are rights of survivorship, with other benefits. These benefits include prohibitions from breaking the tenancy without the consent of both owners, special protections from creditors and limits on the disposition of the property pursuant to bankruptcy. In some states, Tenancy by the Entirety is the default form of ownership for married couples regarding real estate. In others, the property must be specifically deeded to select that ownership form. Property held in the entirety is not subject to probate and ownership automatically goes to the surviving spouse. Trust Ownership: When property has been placed into trust, two of the property sticks from the bundle have been separated. The Trustee holds “legal title” allowing the Trustee to exercise other ownership rights consistent with the directions of the Trust. There is a Beneficiary of the Trust, who holds “equitable title”. The Beneficiary cannot exercise the privileges of ownership, because the legal title is held by the Trustee. Property held in Trust does not become part of a person’s estate for probate purposes, but may be part of an estate for tax purposes. Assets funded into a Revocable Living Trust during the Grantor’s lifetime are no longer owned by the grantor but by the Trustee. As a result there will be no need for the trust assets to be part of any probate action at the grantor’s death. The Successor Trustee can with settle the trust outside of probate without any court supervision. Each type of ownership has its own legal implications for estate planning purposes and also for life purposes. Each addresses who has decision making authority in exercising ownership rights. This is a consideration while all owners are alive. According to the references posted on by H2RealEstate.com, the way property is owned while someone is alive affects the way property is transferred upon someone’s death. Someone’s estate consists of all the assets he or she owns. This includes real and personal property, like in case of getting an oceanfront condo in Hilton Head, SC. 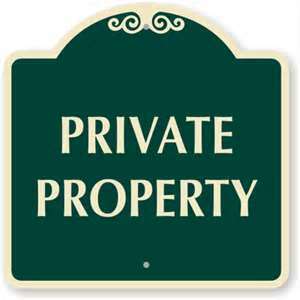 Property may be public or private. The “bundle of sticks” concept allows for the balancing public rights versus private rights. The ownership options described in this article are related to private property. A person (grantor, settlor, creator, donor or trustmaker) creates a trust by giving legal ownership of property to a person or institution (trustee) for the benefit of another (beneficiary). The grantor gives the trustee instructions on how to manage the property. The management directions of a revocable (living) trust may be altered or terminated during the grantor’s lifetime. Upon the grantor’s death, the revocable trust becomes irrevocable and its terms cannot be changed. Ownership often includes not only “rights”, but “duties”. Examples of duties may include care and maintenance or payment of taxes. Copyrights, trademarks and patents are referred to as “intellectual property”. As an aside, the main function of lawyers, outside of the criminal justice setting, is assisting in determining who owns what according to the rules society has established. Probate is the legal court process to retitle the property of a deceased person. As stated at emeraldmanagement.com, the principal goal of estate planning is to meet someone’s wishes, property arrangements that avoid both the expenses and possible uncertainty of probate are desirable. For an example of the requirements of a valid will and how matters are addressed if someone dies without having one, see Requirements for a Valid Last Will and Testament in Florida. This means that a tenant in common can give that interest to anyone he wants by way of a will, place it in trust or give it away during his lifetime. Assets may be transferred into a trust in two ways. 1) During a person’s lifetime he may grant actual title of an asset to the trust (an inter vivos transfer). 2) A person’s Will may make the trust a beneficiary of certain property (a testamentary transfer).